The Government has announced the 20 towns and cities, including Leeds, London, Grimsby and Birmingham, that could get their own local TV station in 2013. Broadcasting regulator Ofcom has chosen 20 areas with significant level of interest from potential operators and audiences from the 65 areas it deemed technically capable of receiving a local TV service. 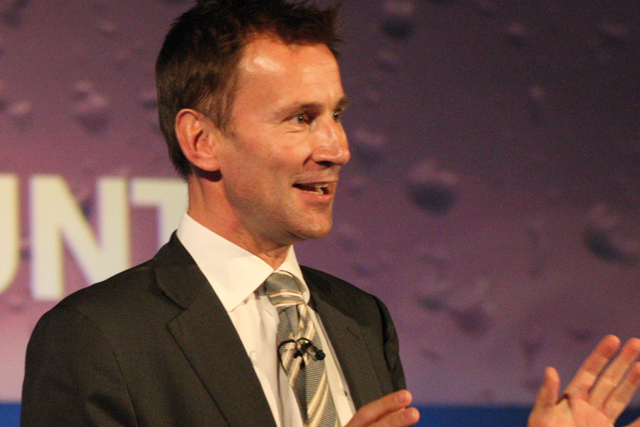 Local TV has been a flagship policy of Jeremy Hunt, secretary of state for culture, Olympics, media and sport, since he was shadow culture secretary and he had originally envisaged local stations would be linked by a national ‘spine’. In June the Department of Culture, Media and Sport moved away from the idea of a ‘spine’ and said Hunt was considering a "bottom-up" approach of individual licensed stations, rather than a centralised "top-down" approach. The 20 towns and cities include Belfast, Birmingham, Brighton & Hove, Bristol, Cardiff, Edinburgh, Glasgow, Grimsby, Leeds, Liverpool, London, Manchester, Newcastle, Norwich, Nottingham, Oxford, Plymouth, Preston, Southampton and Swansea. Hunt said: "Local TV will be a fundamental change in broadcasting in this country, meeting a real demand for local news and content. We are now putting in place the measures needed to establish a series of commercially viable local TV stations. "I am confident these new stations will provide local communities with programming which is relevant to their daily lives, will support local democracy, boost the Big Society and enhance local communities." Ofcom is expected to launch a consultation into the 20 areas chosen for the pilot before Christmas. The consultation will close in the first quarter of 2012 and the licence and multiplex operators will be awarded in the third quarter of 2012. Parties applying to become the multiplex operator will be asked how many sites they intend to cover on top of the minimum of 20 and Ofcom said it proposes to award the multiplex licence on the basis of additional coverage. In a statement Ofcom said other areas where there is interest include: Aberdeen, Ayr, Basingstoke, Cambridge, Derry/Londonderry, Dundee, Guildford, Maidstone, Middlesbrough, Mold, Sheffield, Stoke on Trent, Stratford upon Avon and York. The DCMS will now lay out amendments to the Wireless Telegraphy Act 2006 and the Communications Act 2003 in order to secure spectrum.